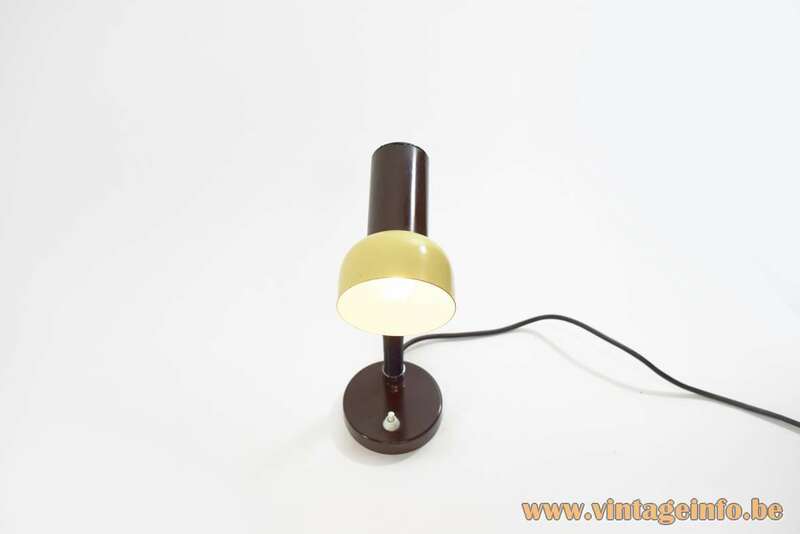 Materials: Banana and chocolate brown coloured aluminium lampshade. Chocolate brown round base with a metal (iron) counterweight inside. Black plastic around the iron gooseneck. Chromed parts. Bakelite socket. Height: 30 cm / 11.81” – adjustable gooseneck. 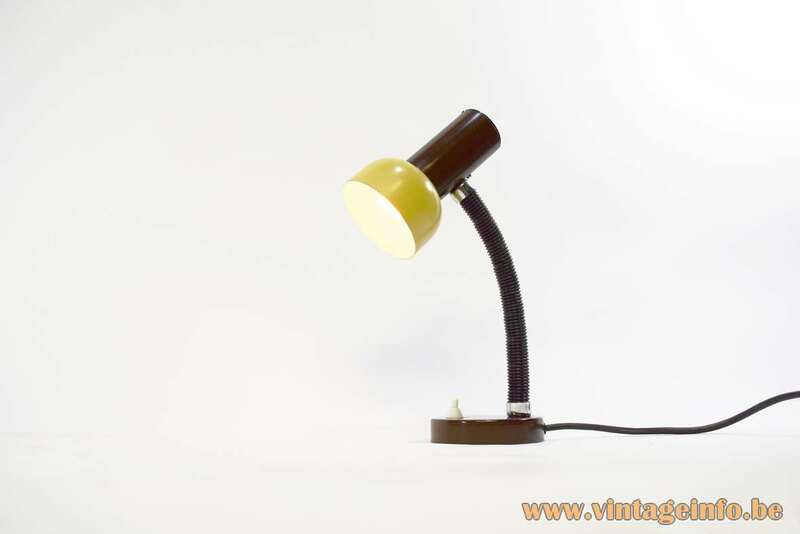 Manufacturer: Produced in East Germany by Massive from Mortsel, Wommelgem and Kontich, Belgium. 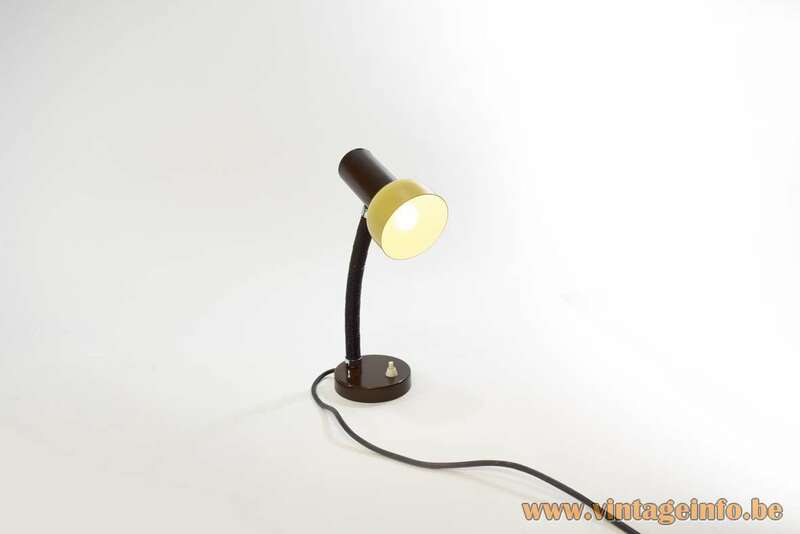 This lamp is in a much better quality made than we’re used to from the Massive company. Generally Massive tried to be as cheap as possible. 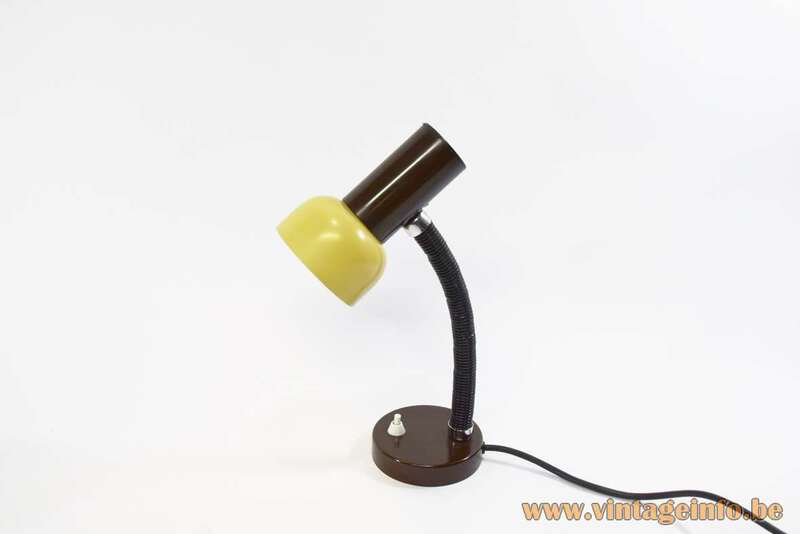 The lamps they produced in East Germany were usually of good quality. Workforce and materials were inexpensive at that time in East Germany. Many companies allowed their goods to be made in the Eastern Bloc. Mass production in cheaper China started years later in the 1980s. 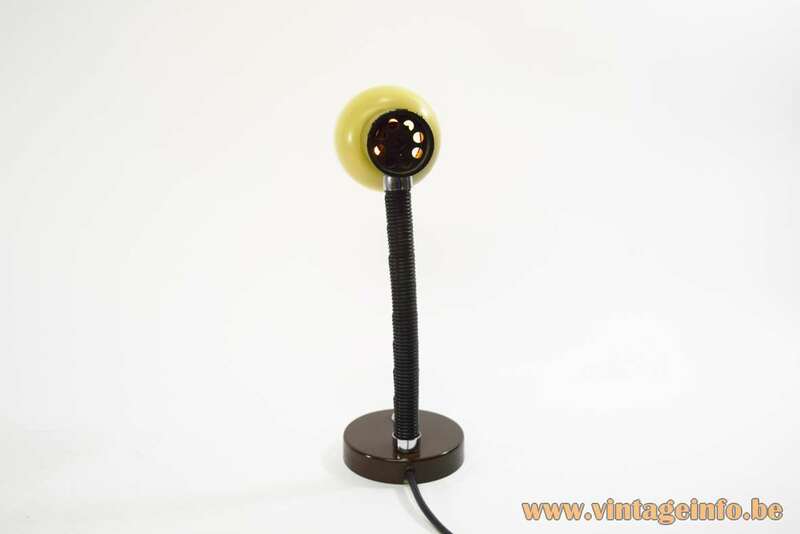 This lamp has a plug made by the German company KRANIA. 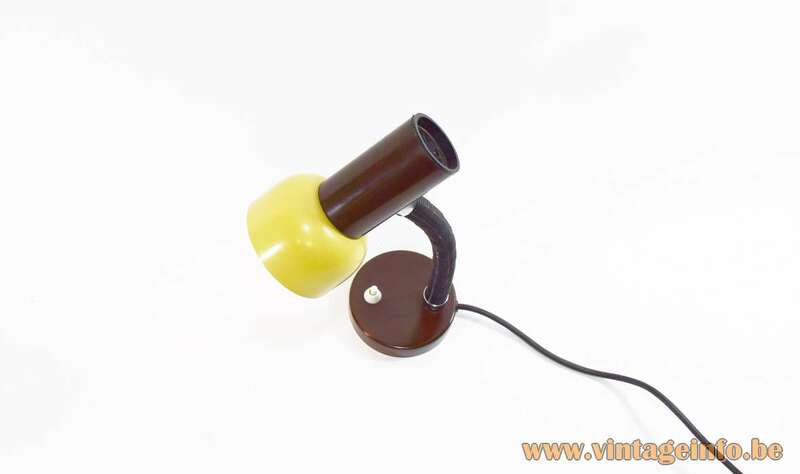 Often you find a lamp for sale from Krania, but they only made the electric parts. Many lamps from the Massive lighting company has KRANIA parts. Other lights from Massive Lighting have parts made by VLM Components from Italy.